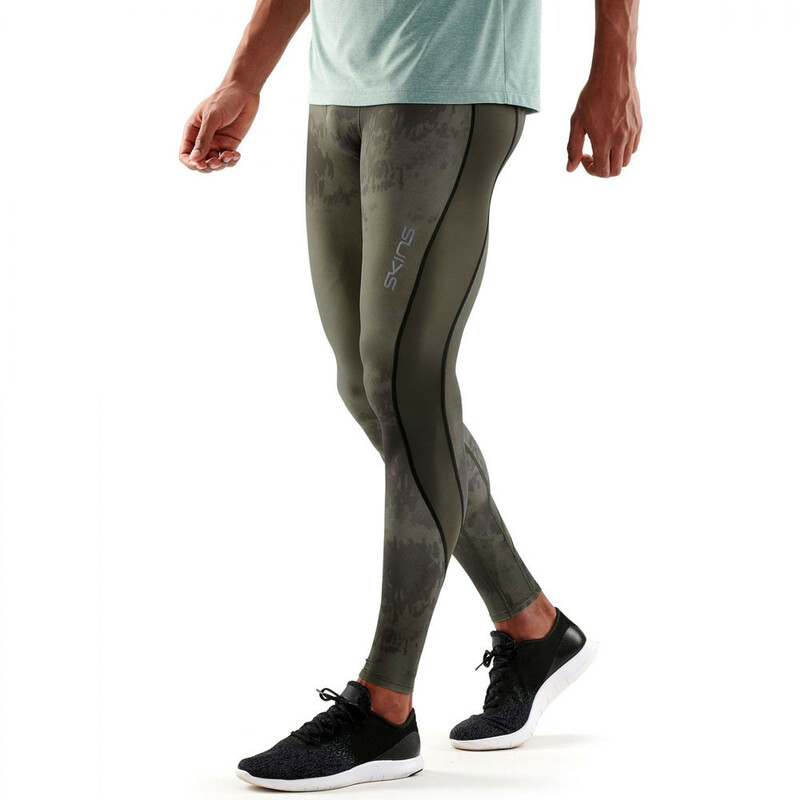 Increase endurance performance and reduce fatigue and risk of injury in the Skins DNAmic Long Tights. By wrapping and supporting the calves, hammies, quads and glutes, the DNAmic Long Tights increase circulation and muscle oxygenation, so you can go harder for longer. "These are fabulous, great fit, very comfortable. Excellent!!" "Best training leggings on the market"
Firstly the DNAmic Long Tights from Skins compress the muscles around the legs to enhance circulation which in turn increases oxygen delivery to active muscles and helps clear blood lactate. 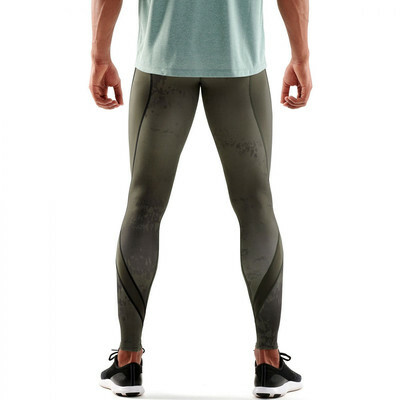 In addition, the tights feature inseam panels to eliminate abrasion between the legs, keeping you comfortable and irritation free throughout your chosen workout. The tights feature a clever and unique moisture management system that wicks sweat and excess moisture as it is produced. 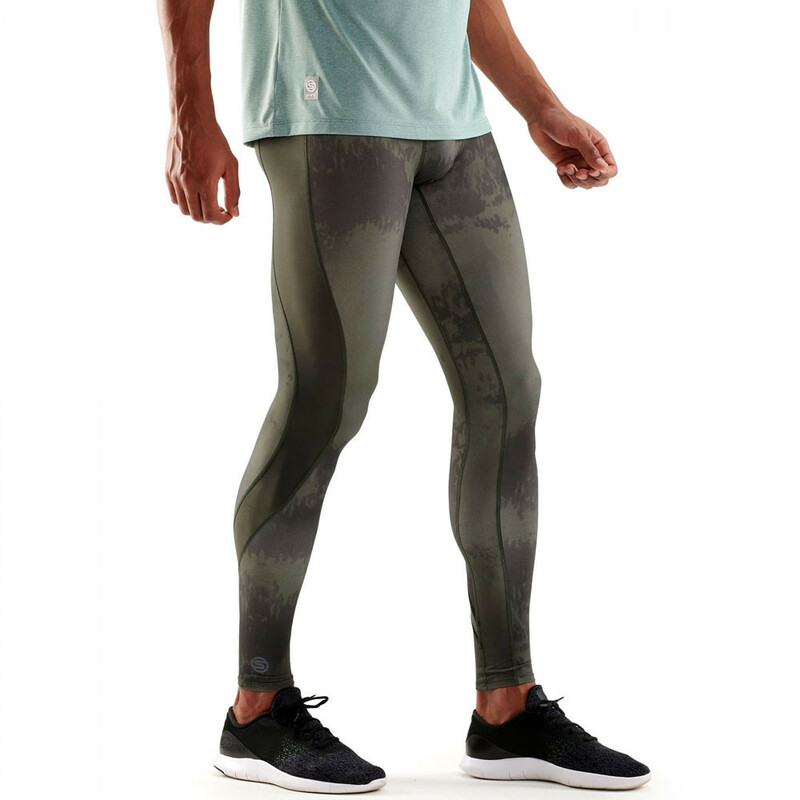 Once wicked the fibres of the tights transport the excess moisture to the outer layers of the fabric where it can be easily evaporated, ensuring you stay cool, dry and comfortable throughout a workout. A Skins unique sizing system is based on their unique Body Mass Index (BMI)/anthropometrical algorithm because you only get the full benefits of gradient compression if your Skins fits you properly. 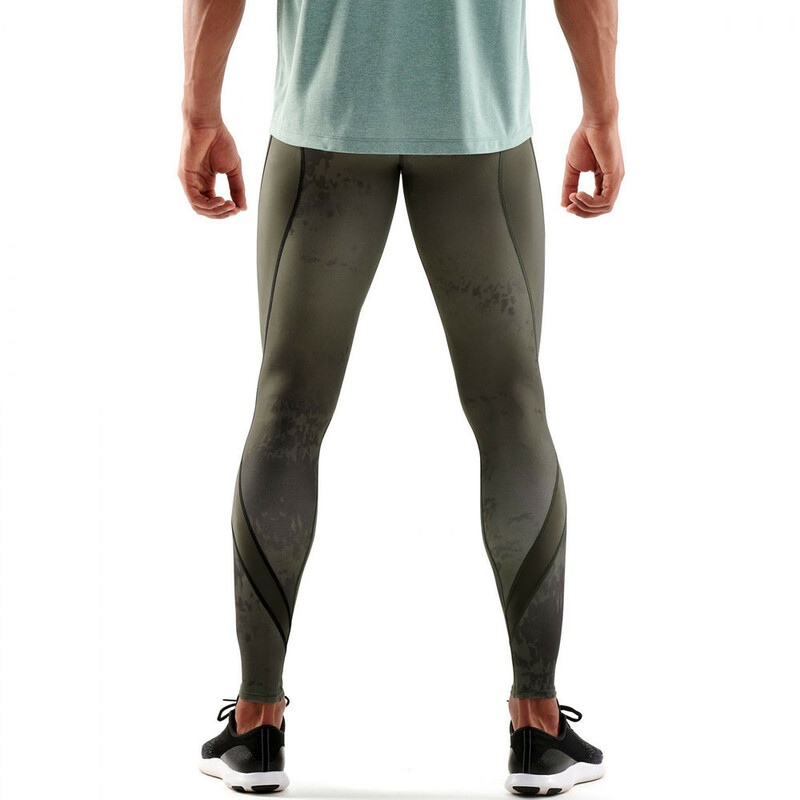 Additionally, the tights feature a muscle focus, which is comprised of biomechanically positioned panels and seams that support and stabilise the muscles to reduce fatigue and risk of injury. 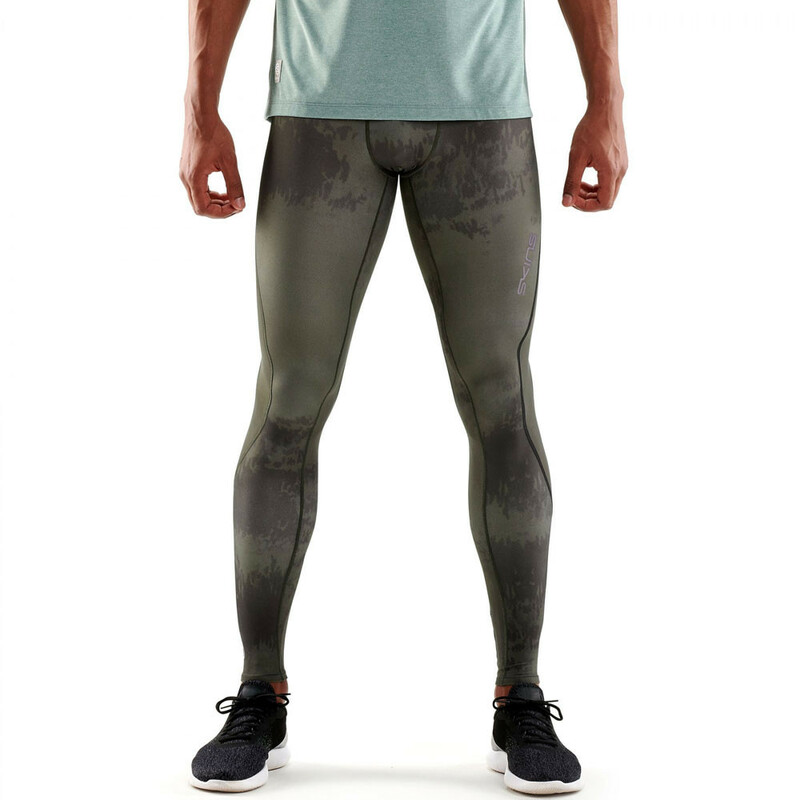 A comfortable, soft microfibre waistband anchors onto the hips preventing the tights from slipping down during high-intensity activities. The waistband also acts to provide comfort during activities that require hip flexion. A shaped crotch offers extra comfort, allowing you to stay fully focused on the training you have planned, whilst a stretch loop fastened to the waistband allows you to keep valuable keys safe and secure. Comfortable, Soft Microfibre Waistband - Anchors the tights onto the hips. Muscle Focus - Biomechanically positioned panels and seams that support and stabilise the muscles. Shaped Crotch - Provides comfort and eliminates distraction. Stretch Loop - Allows you to keep keys safe and secure whilst you workout. Material Composition - 76% Polyamide / 24% Elastane.